Attorney with Gammon & Grange since 1993. Scott J. Ward is a shareholder in the law firm of Gammon & Grange, P.C., in the Washington D.C. suburb of McLean, Virginia. Gammon & Grange, P.C. is a law firm whose members are committed vocationally to law, justice, and conciliation. From offices near the nation's capital, the firm serves a national and international client base of both nonprofit charities and for-profit businesses. Scott leads Gammon & Grange's Religious Liberty practice group and Litigation practice group. He has previously served as the firm’s Managing Shareholder. 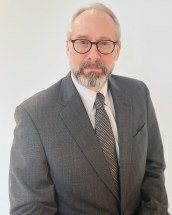 His law practice concentrates on the law of religious and other nonprofit organizations, constitutional law, appellate and trial litigation, child abuse prevention and response, employment and human resources law, and computer and Internet law. Scott has been admitted to the bars of the United States Supreme Court, the States of Virginia and California, and the United States Courts of Appeals for the Fourth Circuit, the Ninth Circuit, and the District of Columbia Circuit. Before coming to Gammon & Grange in 1993, Scott litigated intellectual property and high technology cases with the law firm of Wilson, Sonsini, Goodrich & Rosati in California’s “Silicon Valley.” He began his legal career as a law clerk to Judge Pamela Ann Rymer of the United States Court of Appeals for the Ninth Circuit, in Pasadena, California. Scott received his B.A. degree in interdisciplinary studies in 1986 from the College of William and Mary in Virginia, where he was the 1986 valedictorian and a member of Phi Beta Kappa. Scott received his Juris Doctor degree from the Yale Law School in 1989, where he served as an editor of the Yale Law Journal and published Reconceptualizing Establishment Clause Cases as Free Exercise Class Actions, 98 YALE LAW JOURNAL 1739 (1989). While in law school, Scott was an intern with the Christian Legal Society’s Center for Law and Religious Freedom. Scott was born and raised in San Francisco, California. He lives with his wife Susan and their two daughters in Vienna, Virginia, and worships at The Falls Church Anglican in Falls Church, Virginia. Scott currently serves as the Chancellor for the Anglican Church in North American, the Anglican Diocese of the Mid-Atlantic, and The Falls Church Anglican.